SEASONIC International, represented by Renopak , has developed higher productivity models for its comprehensive range of colour sorters. The higher volume Seasonic models are specifically designed for the glass recycling industry but are suitable for resins and other granulated materials. 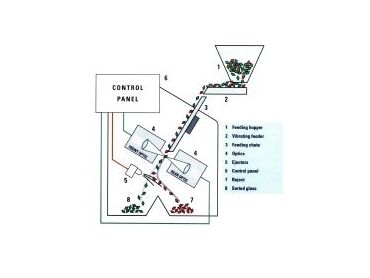 There are smaller models available, which are aimed at food and grain industries for the sorting of products such as rice, coffee beans, nuts, legumes, seeds etc.